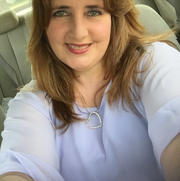 I am a loving mother of three with 20+ years of experience working with children as a first grade, preschool and infant room teacher and also as a personal nanny and currently working as a paraprofessional in a public school. I absolutely love children and know how important it is to find the right, trustworthy care for your kids. I am available after 3pm up to 5 days a week, flexible with days and times and I am also available summertime all day and occasional Saturdays, and/or Sundays and for your date- night/errands babysitting needs.